Our Costa Rican fun started with a rather turbulent, attention-getting flight on a de Havilland Canada DHC-6 Twin-Engine Otter (capacity: 19 people). 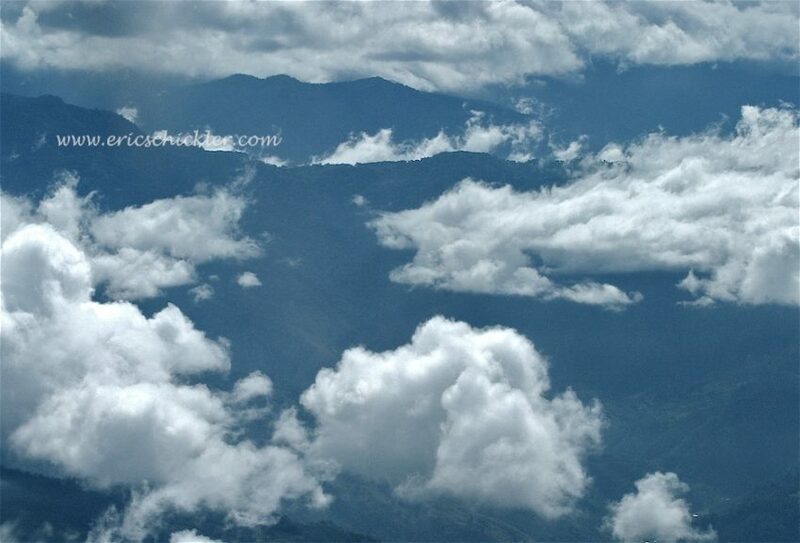 We flew out of the capital city of San Jose at mid-morning, up and over the Talamanca Range (Cordillera de Talamanca). Even with turbulence, the 45-minute, 236-mile flight was visually rewarding, thanks to the special over-sized viewing windows Nature Air installs on its planes. The final leg took us over Corcovado National Park, one of Costa Rica’s largest, and the crown jewel of the Osa Peninsula. The second half of the flight was along the Pacific coast, southward to the small port town of Puerto Jimenez, home to just 1,780 people, but the largest town on the peninsula. It is best known for its gold mining and logging that started in the 1960s and, as late as the 1980s, was considered a frontier cowboy town bustling with commercial activity and gun-toting miners. Even today, with some gold mining still occurring (much of it illegal), rough-and-tumble gold diggers add a wild west feel to the bars at night. The mining and logging decades caused considerable damage to the natural beauty of the area. When the government designated the peninsula’s lands as protected nature reserves, the influx of conservationists and adventurers caused a revitalization of the town as a staging grounds for area eco-tourism. 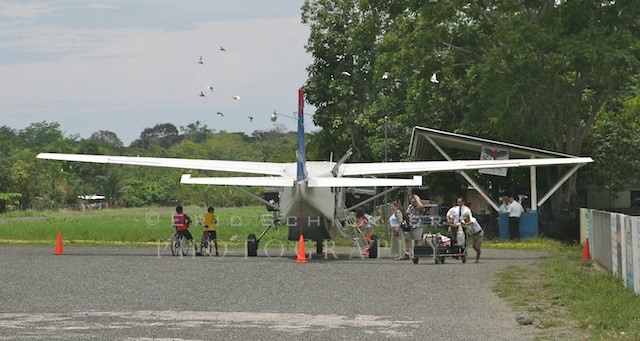 The airstrip in Puerto Jimenez was more like some farm’s back cornfield than an aviation center. I thought the pilot was confused about our landing, as we came in so fast and dropped so quickly into a narrow gap in the treed costal area, onto a hidden strip of pavement on “the farm.” I learned that our plane was a STOL aircraft (Short Take Off & Landing). It was aptly named. Children on bikes and clueless animals intermittently cruised along or crossed the very small runway. The airstrip was adjacent to the town’s cemetery, leading me to wonder if its close proximity is related to occasional mishaps between aircraft and runway inhabitants. Even more interesting, the Century 21 Real Estate office is next to the cemetery. Yet another coincidence? The puritan architecture of the lean-to terminal left me confused about where to get our luggage. No problem, there’s the pilot himself getting them out of the storage compartment for us. What service. What multi-talent. Wait, isn’t he the same guy who had the judge-and-jury attitude back at San Jose International Airport? The man who eyed the luggage scale so scrupulously as my bag’s reading hovered near the 27-lb. limit? What a champ. What a transformation of character. 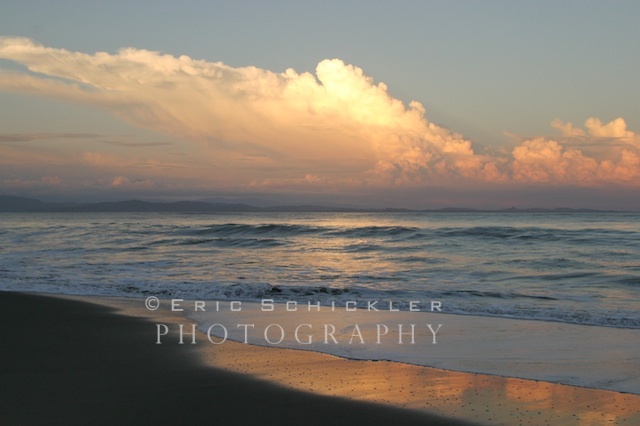 The Osa Peninsula is one of just a handful of ocean-piercing peninsulas found in all of Central America. There are also just four or five gulfs. The rest of the continent’s shoreline is fairly smooth and consistent. The peninsula is far away from civilization and very close to the border of Panama to the south. Remote, sparsely populated and almost entirely protected as forest preserves, the Osa has but a few small towns, which are accessed only by air, sea or primitive, dangerous roads. Some mountain roads get little or no maintenance, and can be impassable during the rainy season (May-November), when they turn to mud and nearby rivers over-run their banks. The Osa is described as pristine, peaceful, beautiful, rustic and adventurous. Don’t expect huge five-star hotels with modern-day accoutrements. Located in the south portion of the Puntarenas Province, it is bordered on the Pacific side by Drake Bay and by an inlet known as Golfo Dulce. Drake Bay, discovered by Sir Francis Drake of England when he circled the globe in the late 1500s, is at the northwestern end of the peninsula and the expansive Corcovado Park, which covers one-third of the peninsula. The tiny town of Drake offers a few places to eat, a scattering of small stores and tour-business shops. But most importantly, it has an airport and several luxury resorts and lodges nearby. Beach lovers will feel as if they have escaped civilization on Playas San Josecito and Cocalito. Walks in the rain forest nearby will take you up close to kinkajous, sloths and monkeys, to name a few. Cano Island, just 12 miles off shore, boasts outstanding snorkeling and diving, and is a biological reserve. Its waters are almost always crystal clear. Look for white-tip reef sharks, needle fish, sea turtles, dolphins and whales. 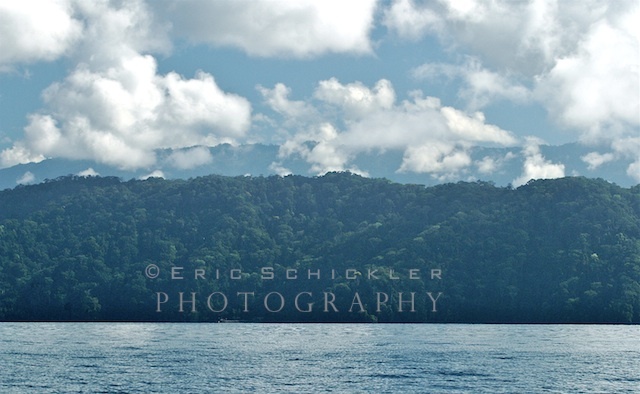 Golfo Dulce (“Sweet Gulf”) runs along the southeastern coast of the Osa Peninsula, and is the tenth deepest gulf in the world (600 feet in the middle). It captured the attention and passion of marine conservationist and explorer Jacque Cousteau decades ago for its pristine beauty, biodiversity and abundant animal and marine life. He believed it was a close runner-up to the Norwegian Fjords, and called it a “tropical fjord,” one of only three such “fjords” in the world. Although technically, fjords are carved by glaciers. It is one of the most humid and wettest parts of Costa Rica, receiving 200+ inches of rain annually. The entire gulf shoreline (27 miles long and five miles across) is virtually uninhabited by people and development, but rich in flora and fauna. 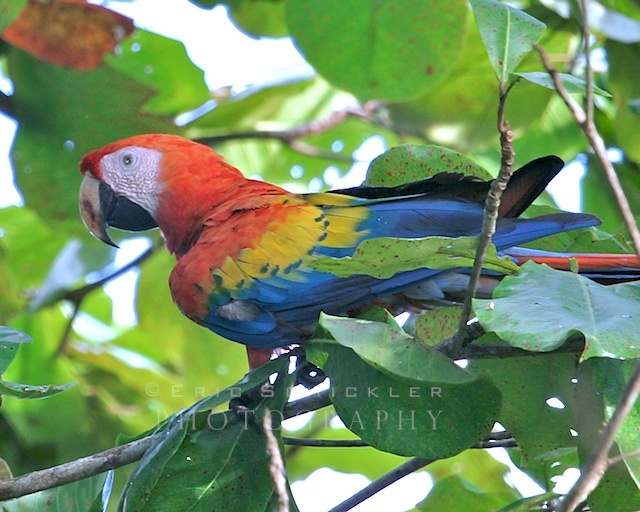 The Osa Peninsula is home to the largest concentration of Scarlet Macaws in the world. 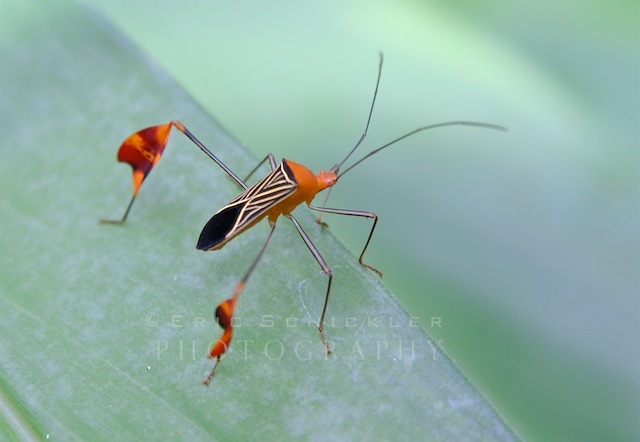 Locals call them lapas. They are the largest member of the parrot family, are monogamous and pair for life, 35-45 years. If one mate dies, often times the other dies shortly thereafter. Their appeal as pets and the impact of deforestation have kept them on the endangered species list. The gulf is a calving area for the north and south Pacific humpback whale groups and attracts schools of whale sharks from April to May. Bottlenose and spinner dolphins are also abundant. It didn’t take long to get a feel for the area, and a feel for tropical relaxation. Our Toyota touring truck moved slowly through the small town, and we instantly noticed the slow pace and friendliness of the people. Children smiled and waved. Automobiles were few and far between. Horses, motorcycles, bicycles and feet were the main modes of transport. We were beyond the town in mere minutes and suddenly out in wide-open plantation country. All we saw were a dozen dwellings over the entire three-mile ride. The truck had an open rear bed with two long, cushioned sightseeing benches. We loved the great views, but there was a risk of getting clipped by overhanging roadside tree branches. Better pay attention, stay close to the middle of the truck, and look ahead. Weather on the Osa is fairly predictable. 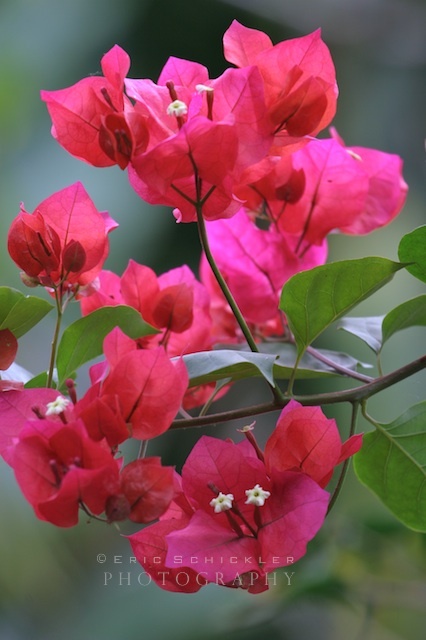 The nicest months (the “dry season”) are December through April. The May through November “green season” has higher rainfall totals, especially August through September. The May through November “green season” has higher rainfall totals, especially August through September.